Relax in style with this 3/4 raglan sleeve tee. Contrast collar and 3/4 raglan sleeves gives this 100% cotton custom t-shirt a classic baseball look that's sure to make you look great whether you're rounding the baseball diamond or simply hanging out on campus. 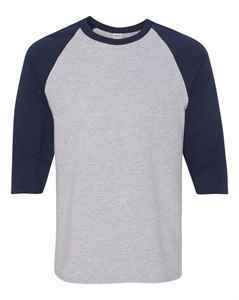 Cover all your bases with this 3/4 raglan sleeve custom t-shirt. 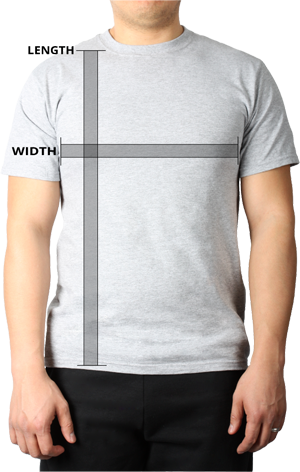 Made of 100% cotton, this custom printed t-shirt features a contrast set-in collar and 3/4 raglan sleeves. Double-needle sleeve and bottom hems provide durability and a tearaway label provides extra comfort and allows for easy re-branding with your own logo. 8.8 oz.